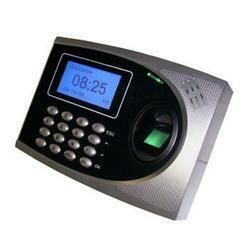 We are providing Biometric Systems of various brands includin ESSL, SPECTRA, HID and HONEYWELL. 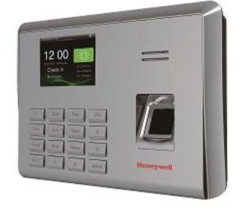 HON-BIOEM-500TA is a fingerprint time & attendance terminal With SSR report(self-service Report) stored in thetime clock. The 2.8inch TFT screen can display more information vividly, including fingerprint image and verification result .TCP/IP communication is a standard function which makes sure the data transmission between terminal and PC can be easily done within few seconds. Internal backup battery insures the device work normally when the power cuts off suddenly. 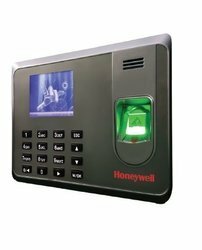 HON-BIOEM-5000TA is a fingerprint time & attendance terminal With SSR report(self-service Report) stored in thetime clock. The 2.8inch TFT screen can display more information vividly, including fingerprint image and verification result .TCP/IP communication is a standard function which makes sure the data transmission between terminal and PC can be easily done within few seconds. Internal backup battery insures the device work normally when the power cuts off suddenly. From simple to critical, Spectra’s Access Control System, offers coherent security solutions. 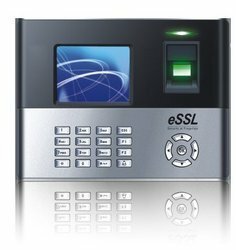 The system is configured for group and employee-wise door access regulations. 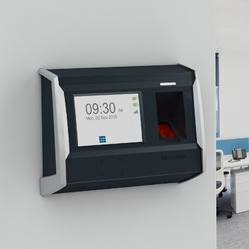 With our access control system its simple and easy to meet compliance, gauge access levels and keep a watch on the number of personnel in your premises. It lets you offer controlled access to critical areas, thereby, ensuring higher safety of high value assets. Spectra’s Access Control System is easy to install, configure and use. 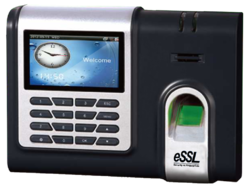 It ably performs authorization, authentication and approval flawlessly for heightened business security. Extremely user-friendly in nature, the system is a self-sufficient framework, allowing user(s) to operate it on their own, without much help. 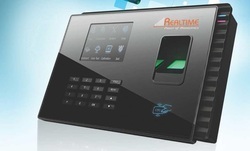 Our company has been successful in winning appreciation from the clients as one of the most prominent names in the trading of Real Time Biometric Machine. To meet the diverse requirements of clients we are involved in offering Biometric Finger System that is used for finger recognition. Our offered finger system is available in different specifications & helps in reading furrows, dermal ridges and minutiae points. At vendor's end, this finger system is precisely designed using optimum quality components and the latest technology. Moreover, our customers can avail this finger system in various designs and sizes at nominal prices.We are providing Biometric Systems of various brands includin ESSL, SPECTRA, HID and HONEYWELL. Looking for Biometric Systems ?